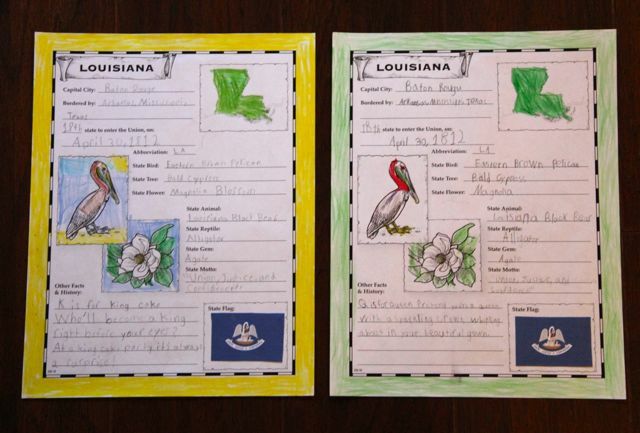 For the state of Louisiana, the 18th State, the girls read P is for Pelican: A Louisiana Alphabet before completing their Notebook Pages. 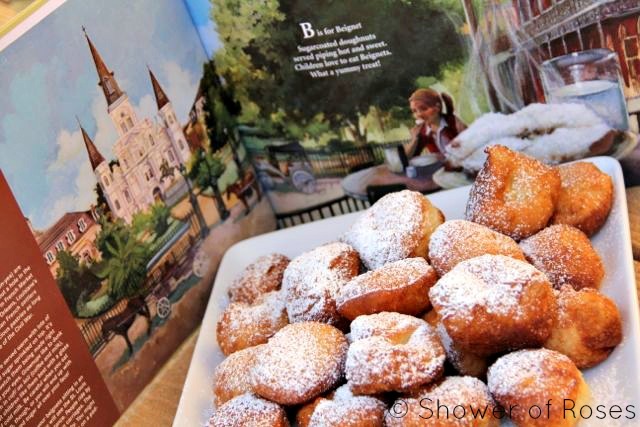 As soon as the girls read the book they knew that they wanted to make Beignets! 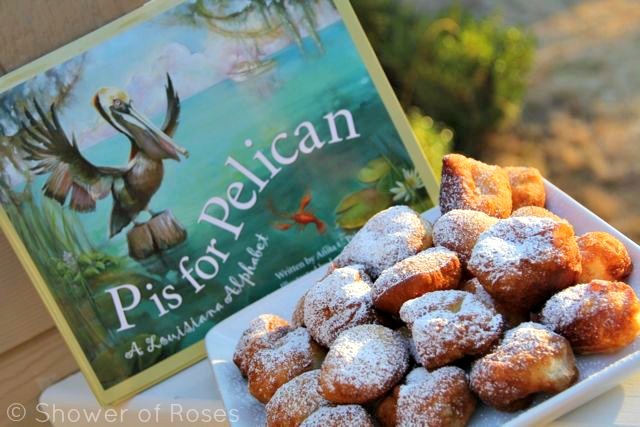 Right away I emailed a friend from Louisiana and asked for her favorite recipe. (Thank you Aimee!) 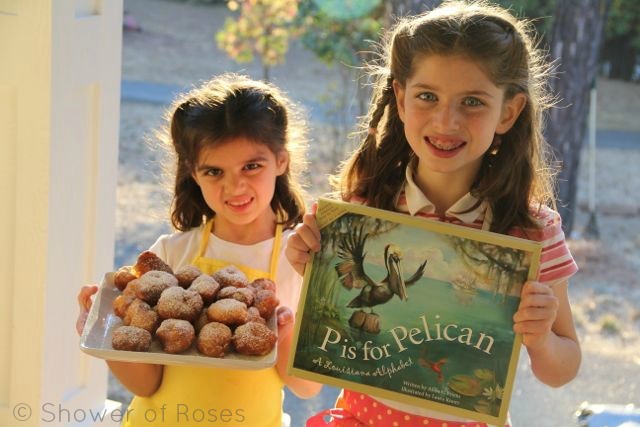 The recipe she shared was so easy! We didn't get around to actually making them until this past week, but, oh boy, did they turn out yummy! served piping hot and sweet. Thaw dinner rolls according to directions. When they've risen to the size of dinner rolls, heat up canola or vegetable oil in a frying pan. Using kitchen scissors, cut each roll in half and then poke a hole in the center for even frying. Fry until golden brown on each side and drain on paper towels. 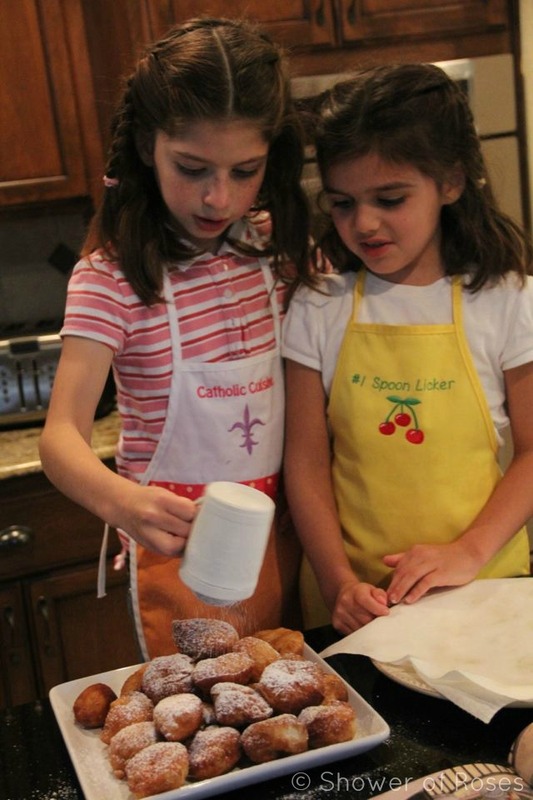 Sprinkle liberally with powdered sugar.